Bold and bright are the best ways to describe this classic self-tied bow tie by neckwear designer PUCCINI. The shiny fabric and bright color create the ultimate attention piece - one that looks fantastic with dark blue or charcoal colored suits. 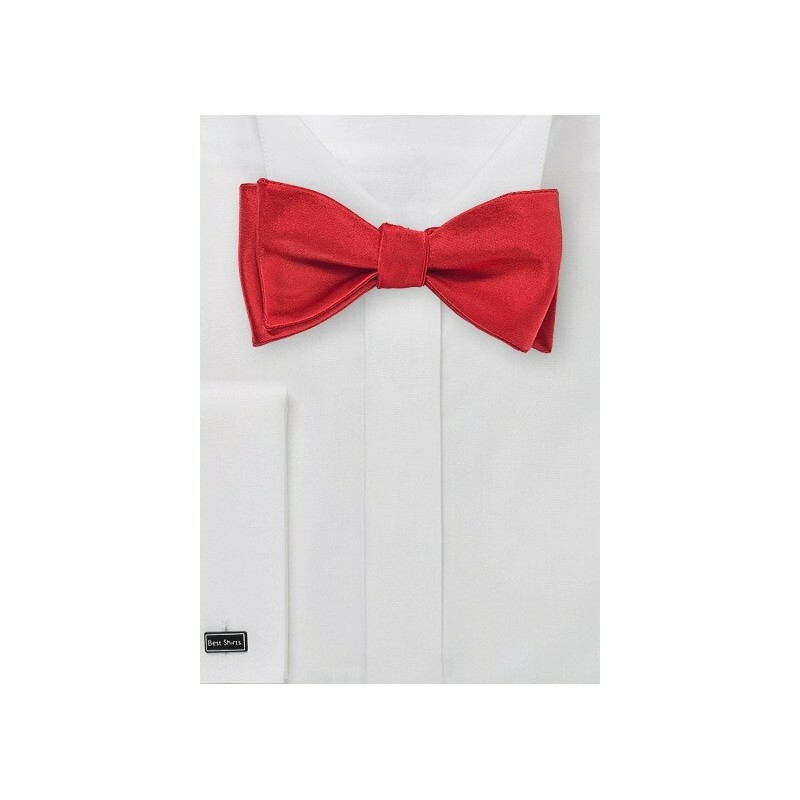 Looking to add some bright color to your formal black tie look? 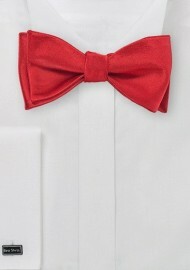 Then this red bow tie also looks fantastic with your formal black tux. Made in a self-tied style and featuring an adjustable neckband to accommodate collars up to 20 inches.